DO-11334-93 was succesfully added to your cart. METTLER TOLEDO Disposable foil weighing pans, pack of 80. What is the typical weight of a single foil weigh pan? Are the pans made of aluminium foil and if not what? These are made of standard aluminum foil and the average mass is approximately 2.722g. What is the depth and Inner Diameter of these pans? 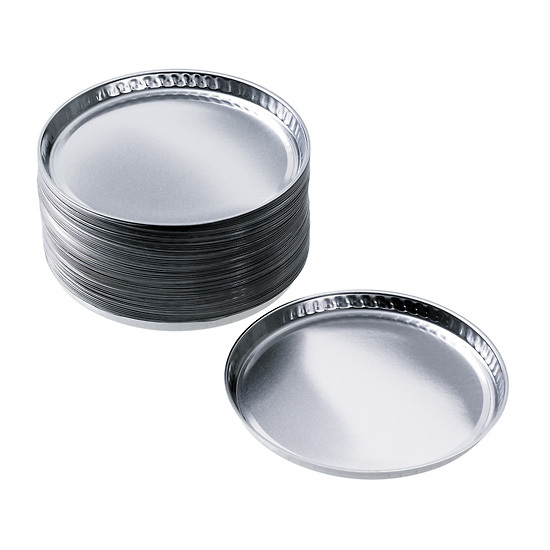 These weighing pans are 7mm deep and 90mm in diameter. I would like to know the dimensions of these pans. I'm hoping that it is the 90mm Dia. size. Yes, the diameter of these pans is 90mm. Mettler Toledo 13865 Disposable Foil Weighing Pans, Pk/80. Great product and great service! I will buy this from you again.